If an event is listed on our calendar as "Registration Required," participants must be signed up in advance in our registration book, located near the front door of the library, or by phone or email as indicated on our online calendar. Registration for an event opens two weeks prior to the event, unless otherwise noted. 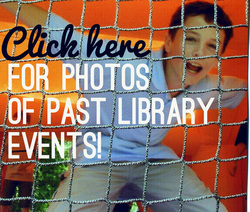 Click here to see a listing of all Norton Public Library Events for all ages.